Pre-Order Announcement: The White Arrow! Today, I’m celebrating a little. Well, maybe a lot. It’s not release day yet for The White Arrow but it’s getting very close and there are a lot of details rounding into shape around the book. As I mentioned a few days back, The White Arrow is now making its editing rounds. However, I’ve chosen to make good use of the time while it’s away and put it into pre-order everywhere. Since I had the cover and I have 90 days to finish up, I wanted to go ahead and begin pre-release activities. For anyone who missed it, here’s a look at the cover as well as all the shiny new retail links along with the blurb (still working on that so there will be several changes). Also, I post a short excerpt from the rough draft that I’ve also shared at the end of the other book including the novellas. 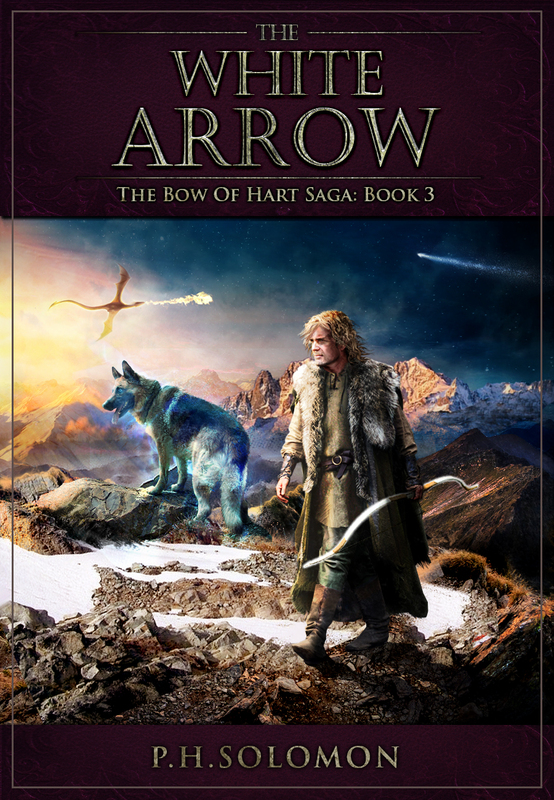 I almost forgot, I also got a short trailer for The White Arrow that’s posted on my main page, the book page and, of course, debuts below in this post. Have a look at everything and reserve your copy for release day in September because the price won’t stay where it is for long after that. Haunted by his failure. Hunted for his inheritance. Seeking the fulfillment of prophecy. Apeth pushed himself to his feet, stepped around the fire and knelt before Athson. He touched Athson’s head and whispered a word Athson never heard clearly though it echoed across his mind in a moment that passed like hours. Wellness covered Athson in an instant like a raincoat donned in a sudden downpour of rain. The cascade of sickness rolled from him and the fever fell away. His dizziness ceased and his vision snapped into clarity along with his thoughts. Weariness clattered from his limbs like loosened manacles from a prisoner. He gasped in delayed reaction to the Withling’s healing. Thanks for this reblog today, Don! You’re welcome. Happy to help. Good luck with the book. Thanks, Charles. I trust your latest is doing well? Not as well as I’d have liked. I’m starting to work on getting stuff set up for the last two books of my series though, so I can’t dwell. Especially since I’m gathering guest posts for the December finale. The short story collection was a fun attempt at least. But you can use it to sell others in the series. The short stories? The problem is that it takes place in Windemere, but has nothing to do with the series. One story has a brief cameo by one of the villains, but that’s really it. So, there aren’t enough connections to make solid promo bridges. That’s great news! Congratulations. And what a catchy excerpt. Thank, Nick. Hope you enjoy it when it arrives. I’ve got so many to read but I’m snowed with writing and related chores!